Lei Feng Yue，a public service activity_News _News_Anhui Sunrise Stationery Co., Ltd. Welcome to visit the Anhui Sunrise Stationery Co., Ltd.
March 5 is Lei Feng Memorial Day. Every year in March, it is designated as Lei Feng Yue in China. Lei Feng is a selfless person, his life has helped many people and he does not seek return. 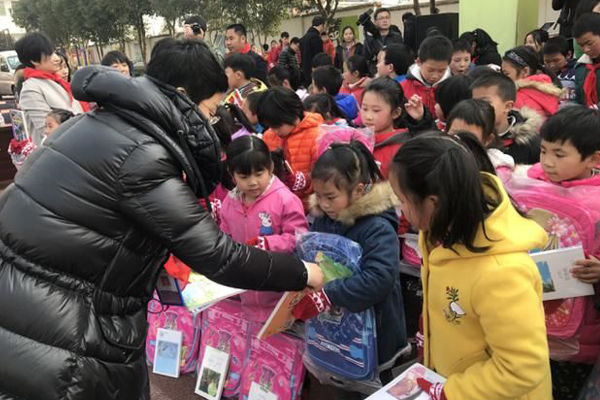 In order to promote the spirit of Lei Feng, our company organized a charity event on March 23 to go to the orphanage, and give some of the samples of our company that we made them long ago and now can not use to those children. We brought school bags, pencil cases, pencils, erasers. And quilts, clothes, food. Arrived the orphanage, we asked about the children's living conditions, played games with them, and spent a happy day with children. And our boss said we will try our best to help more people.